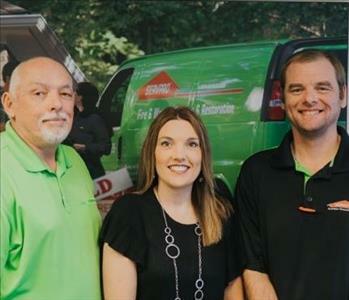 SERVPRO of Macon is a family owned and operated franchise since 1981. Carl Goodrich at the helm with both his daughter Deana Boone and John Goodrich by his side! 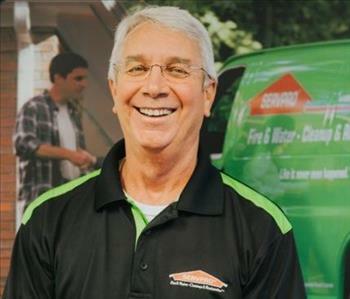 Carl has owned the SERVPRO of Macon franchise for more than 37 years. He is a IICRC Master Water Restorer and a Master Fire and Smoke Restorer. Deana is our office manager with more than 22 years of experience. John is our Operations manager with more than 21 years experience. 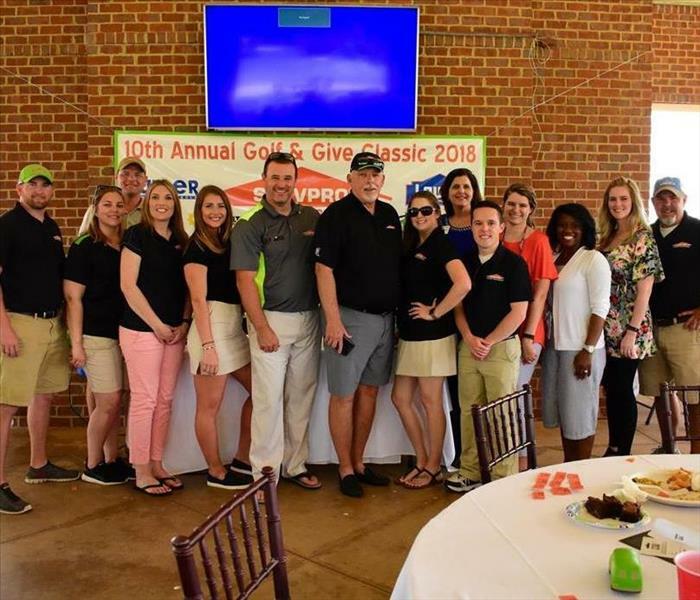 SERVPRO of Macon's employees bring a wealth of restoration knowledge to Macon and Middle Georgia. Collectively, the men and women you see here have decades of experience in restoration and remediation. Below, you can read a little bit about each of them, and why they're an important piece of the puzzle in making fire or water damage "Like it never even happened." As Construction Manager, John oversees repair work after mitigation is complete by SERVPRO of Macon's water and fire crews. He also oversees planning, budgeting, and the development of the production teams. 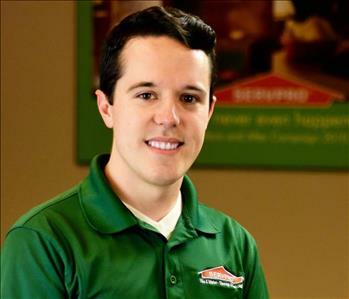 John was born and raised in the SERVPRO business and his expertise is an invaluable asset to SERVPRO of Macon! John is certified with the IICRC in the following: Water Damage Restoration, Applied Structural Drying, Fire and Smoke Restoration and Commercial Drying Specialist. 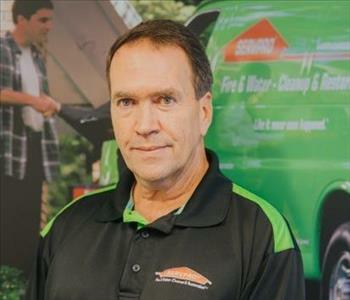 John has been full time with SERVPRO of Macon since 1997. 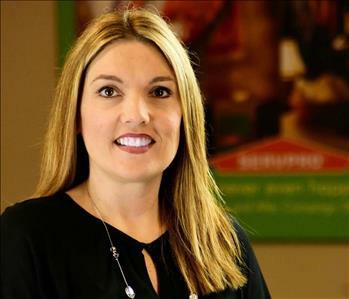 Deana Boone is the backbone of all office operations at SERVPRO of Macon. As the franchise office manager, Deana meets and exceeds all aspects of accounting, customer service, and overall business relations. Growing up in the family business, Deana couldn't help but be 'The best of the best!" 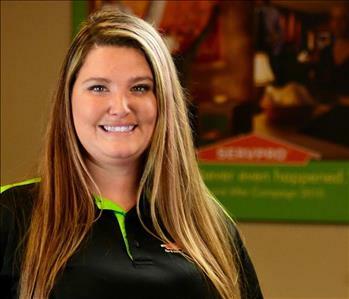 SERVPRO of Macon sure is lucky to have her! 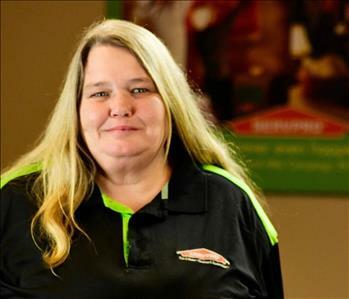 Deana has been with SERVPRO of Macon since 1996. 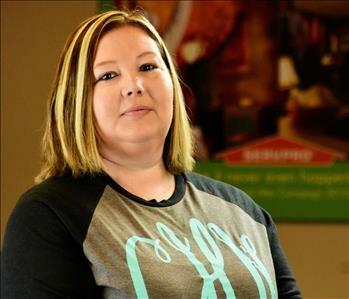 As a Production Manager at SERVPRO of Macon, Candace's 11 years of experience have equipped her with designations galore...from IICRC, WRT, ASD, AST, and AMRT (the list goes on)! She is well versed in all things restoration. Candace manages production crews daily and works with adjusters in order to get the job done, and done RIGHT! 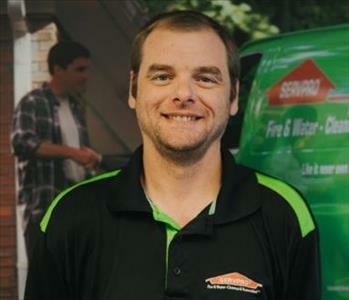 Seth is very well versed in the restoration industry, and has been with SERVPRO of Macon since November 2011. As a Production Manager, Seth is extremely competent and has vast experience in commercial and residential cleanup. His IICRC designations include WRT, ASD, ECTP and Lead Paint. 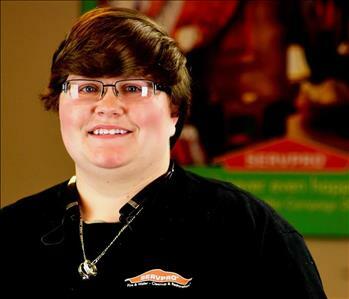 Tommy is a vital tool in SERVPRO of Macon's finely tuned operating machine! Tommy has been managing the warehouse since August 2012. He keeps our production department running smoothly and efficiently by having all equipment and vehicles readily available at a moment's notice! He is also certified in WRT, ASD, Lead Paint and Aerial Work Platforms. 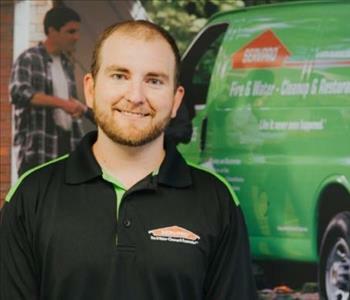 Carl (also known as Fred) has been with SERVPRO of Macon for seven years and is a seasoned Crew Chief and leader. Fred is very personable and takes pride in all he does! His IICRC designations include WRT, ASD, Lead Paint and Aerial Work Platform certifications. 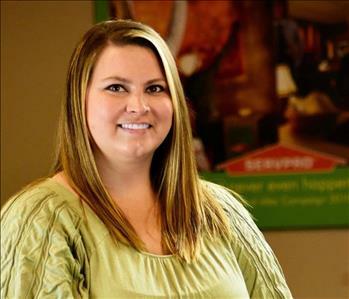 SERVPRO of Macon is very proud to have Christina Honeycutt's support as the senior job file coordinator. She has her IICRC designation and her WRT certification, which she uses in double checking the files of every job we work, making sure all information is correct, processed and billed properly. Christina is passionate about her position and thorough in her duties. Tara Eubanks has been working with us as a Job File Coordinator since November of 2016. She’s WRT certified, and is well versed in restoration, helping manage the files of every job our franchise has worked, past and present. She also handles receptionist duties as well, meaning she’s one of the first few voices you will hear on the phone when you call. You can count on her to send help quickly if you experience any sort of fire or water damage. Tim Bragg is the newest member of our marketing department, working with us as an Account Manager since March of 2017. 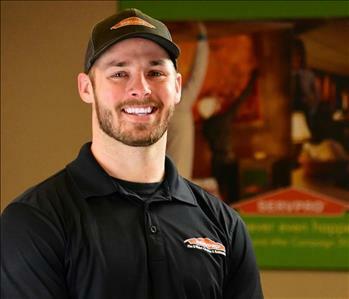 He calls on insurance agents and property managers in West Macon and Lizella, making sure the community knows SERVPRO is ready and willing to help when disaster strikes. He also helps the marketing staff manage our social media accounts and produces informational videos about the work we do. Next time you see him or any of our marketing staff out in the community, don’t be shy! Say hi! We love meeting new people in the community. If you’re ever looking for someone that’s just about seen it all in fire damage, look no further. Meet Glenda Edwards! She’s the crew chief for our fire crew, and has been working with us for the past 11 years (since 2007). She’s FSRT certified, which means she’s trained on industry standards for fire damage restoration, including smoke and soot cleanup, deodorization and content restoration (she's also certified in Aerial Work Platforms). 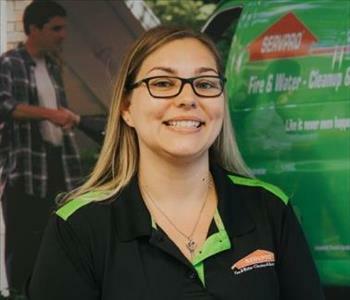 If you ever experience a fire, call SERVPRO of Macon and you can trust you’ll be well taken care of when she walks in the room. Amanda Wallace (or Mandy for short) is an experienced technician on our fire crew, having proven herself to be a hard worker, time and time again. She’s FSRT and Aerial Work Platform certified, and has been working in fire restoration since August 2016. She’s a point of contact and a point of wisdom for customers that experience a fire in their home. Originally from Jones County, she’s proud to call Middle Georgia home, and is happy to bring her heart of gold and wealth of knowledge in fire restoration to any home that suffers fire damage. Keri Johnson knows what it takes to get the job done, and done RIGHT! She’s a technician that has been working with us since 2015, trained in both fire and water damage restoration. She’s originally from Jones County, but is happy to call Macon and Middle Georgia her home. 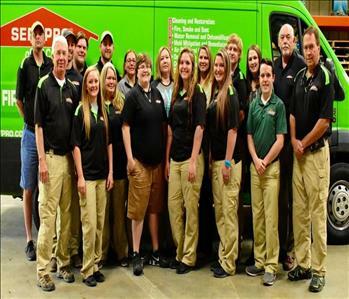 If you ever need restoration work, and workers you can trust, know this: SERVPRO of Macon firmly believes in “neighbors helping neighbors”, and is willing to do whatever is needed to help restore your property or belongings.